God new! Today my new client from Singapore confirmed a lunch tin box order to Tinpak. It was existing because the client confirmed the order just in one hour since our first contacting. On 22th December 2018, we took train and went to Guilin for travel. On December 12, a new Japanese client visited Tinpak after meeting on Mega show. Today my new client from USA confirmed a round coffee tin order to Tinpk. The customer is doing coffee business. It was their first time to purchase tin boxes for their coffee packaging. On April 10, 2017, my new client Mr. Baku and his partner from Mongolia visited Tinpak for ger shape chocolate tins.When they came to our factory and our sampling room,they were excited. So many beautiful tin boxes in different sizes, shapes and graphics gave them great inspiration in their chocolates and candy packing. 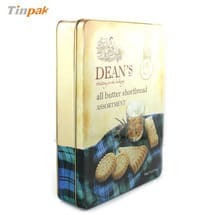 Winter Fancy Food Show is high-quality and largest food show in San Francisco, CA with different countries food manufacturers and wholesalers.Tinpak, as a tin box packaging manufacturer, will be very helpful to clients’food packaging. Dongguan Tinpak Co., Ltd will attend the Winter Fancy Food Show 2017 in San Francisco to meet the tin boxes buyers in food industry. Our booth number is 4147. On December 28th, Tinpak held the 2ndexperiential training in Tinpak’s meeting room. The subject is Knowing Your Customers and Colleagues by DISC. On December 23rd, last Friday, Tinpak held the 1st team building outing in Tongsha Park to welcome the coming Christmas Day. 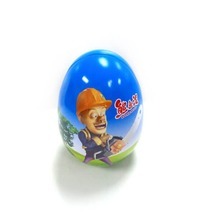 Every Tinpak team member was very happy and active in the game. On December 8th, our new clients Mr. Jens and Mr. Ole from Denmark visited Tinpak for tea packaging solution. On November 10th, Mr. Israr Ahmed and their deputy General Manager Mr. Babak visited Tinpak. They were very happy with what he saw at Tinpak: food tins in various shapes, size and printing; well organized and clear workshops; good understanding and quick response to their question and packaging concept. India client visited Tinpak in search of Reading glasses tin containers. Today our customer Ivy and Bob brought their UK client to visit our factory. It is their second time and the first time of their UK client to come to Tinpak. My new Russia client approved an order of rectangular candy tin today. Good news! Now everything goes well. Hope we can build a long term relationship and achieve a goal of win-win. Miami Wholesale Trade Show is a 3 day event being held from 21th August to 23th August 2016 at the Miami Beach Convention Center in Miami, United States Of America.And Tinpak’s booth number is 831&833, which located in the center of the Hall C.
My Australia client confirmed an order yesterday of square tin after long time 9 months negotiation. What a wonderful day it was! 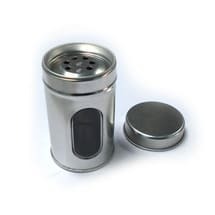 My new client from UK confirmed a round tea tin order to Tinpak today. The customer is doing tea business. They used paper box for their tea packaging before until one day he browsed our website and was attracted by our all kinds of beautiful tea tin containers.